There are a lot of talented tennis players in Zambia – juniors and seniors alike, that work very hard, but many of them do not get the possibility to further develop, and showcase their skills on an international level. One of the reasons for this is that there are not enough tennis tournaments in Africa. They used to be ITF junior and ITF Satellite tournaments decade ago which gave players the chance to win ITF or ATP points. Today, international tournaments rarely exist. When Zambia tennis players finally get the chance to compete internationally, they a have to fend for themselves without the support of the current Zambia Tennis association. (ZTA). Players have to look for their own sponsors to help themselvespay for the travel cost to the tournaments, pay for their own entry fees into the tournaments, food and lodging. Above all, they have to pay for their own team uniforms while representing Zambia. A point in case is a prestigious and the first African Confederation of African Tennis (CAT) Nations Cup which is going on at National Tennis Center in Gaborone, Botswana. Zambia is represented by two fine young men in the name of Edgar Kazembe who has been a Zambia number one player for a decade and Kombe Mabo, a solid top three ranked player in Zambia player. In the first round of the men’s singles, Kazembe beat Musa Bah from Sierra Leone 6-0,6-0 but fell short in the second round by losing to Kenyan Yebo Ibrahim via a 6-0, 6-4. Kombe, on the hand, also won the first round in the third set thriller by defeating Lekang Aobakwe of Botswana 4-6, 7-5, 6-4 but lost his second round to another Kenyan Changawa Ismael by 6-2,6-2. In the men’s doubles bracket, the pair of Kazembe and Kombelost in the semi-finals to seed number one – Ahouda Amine and Fattah Anas from Morocco 6-1,5-2. Kazembe and Kombe did not finish the second set due to an injury. As much as we could be proud of the performance of the two great sons of Zambia with their incredible results. ZTA should be embarrassed for sending two sportsmen to represent the association and the entire Zambia without a single support to the team. The players through their passion for the sport had to dig into their own pockets and pay for the transportation to Botswana and pay their entry fees while representing Zambia. 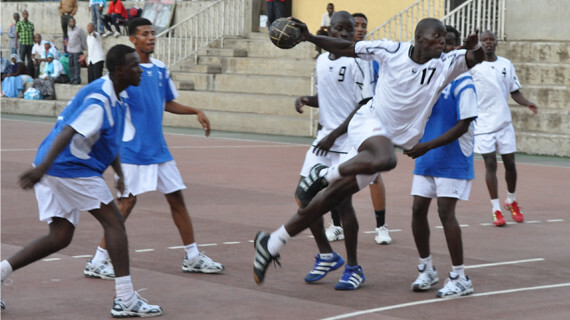 Worse enough, Zambia was the only team out of ten countries represented – without a national uniform at the opening ceremony as well as on the court. It’s clear the current Zambia Tennis Association executive have no capacity to raise funds for national tennis programmes or even any idea to develop the sport nationally. Not sure they have the best interest at heart for the sport at all. They have lamentably failed to organise even a single tournament since the executive was ushered in. The current local juniors tournaments taking place around the nation are all sponsored with the effort of local companies such Mopani Copper Mining (MCM), First Quantum Mineral (FQM) , Mika Hotels and several other individual clubs in the Copperbelt area. The question is where is the National Sports Council of Zambia (NSCZ) and Sports ministry to let such a national embarrassment to occur. It seems the days of ZTA executives to be administrators as a way to improve and develop the sport of tennis in the nation are over. If The Ministry of Sport, Youth and Child Development as well as National Sports Council of Zambia does not keep an eye on ZTA then our teams will continue being a national embarrassments at the international events.